cofounder and CEO of Tesla and SpaceX Deep learning is a form of machine learning that enables computers to learn from experience and understand the world in terms of a hierarchy of concepts. Because the computer gathers knowledge from experience, there is no need for a human computer operator to formally specify all the knowledge that the computer needs. The hierarchy of concepts allows the computer to learn complicated concepts by building them out of simpler ones; a graph of these hierarchies would be many layers deep. This book introduces a broad range of topics in deep learning. The text offers mathematical and conceptual background, covering relevant concepts in linear algebra, probability theory and information theory, numerical computation, and machine learning. 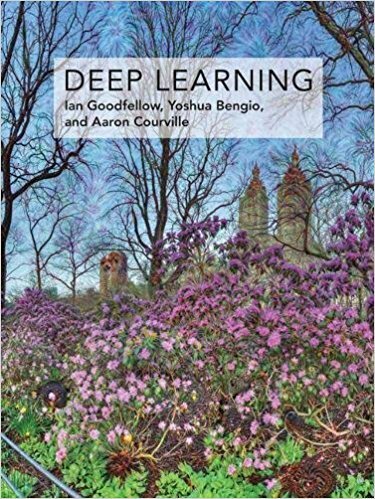 It describes deep learning techniques used by practitioners in industry, including deep feedforward networks, regularization, optimization algorithms, convolutional networks, sequence modelling, and practical methodology; and it surveys such applications as natural language processing, speech recognition, computer vision, online recommendation systems, bioinformatics, and videogames. Finally, the book offers research perspectives, covering such theoretical topics as linear factor models, autoencoders, representation learning, structured probabilistic models, Monte Carlo methods, the partition function, approximate inference, and deep generative models. Deep Learning can be used by undergraduate or graduate students planning careers in either industry or research, and by software engineers who want to begin using deep learning in their products or platforms. A website offers supplementary material for both readers and instructors. Ian Goodfellow is Research Scientist at OpenAI. Yoshua Bengio is Professor of Computer Science at the Universite de Montreal. Aaron Courville is Assistant Professor of Computer Science at the Universite de Montreal.